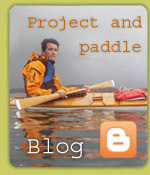 Do you have an old canvas kayak that's well past its prime? Few people will think it worthwhile to repair such kayaks. These old models are usually built with wood and canvas, and were widely used in Norway from 1930 onwards. 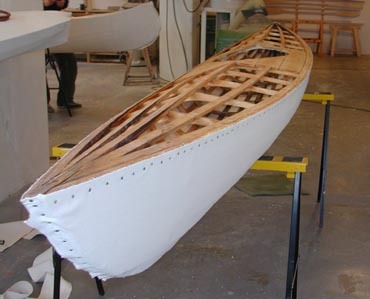 They can be beautiful and seaworthy craft, built by professional craftsmen, or skilled amateurs. 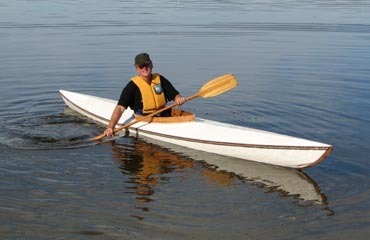 If the kayak has been treated well, very little work is typically required to restore it to a condition where it can be used for many more years. Restoration usually involves removal of old canvas, repair of woodwork, resheathing and finishing. Restoration work is done by qualified experts at a predetermined price.